Changing the Culture: How Do We Prevent Dating Violence and Sexual Assault? H ow do we prevent dating violence and sexual assault? While there is no easy, one-size-fits-all answer to this question, Tri-Valley Haven offers a dedicated Prevention Education Program for teens. We hope that by educating local youth about dating violence prevention, we can prevent domestic violence in future generations. As the lead Preventionist, I visit local schools with a dedicated team of volunteers to educate teens about healthy relationships, dating abuse and bullying prevention, and bystander intervention year-round. We offer classroom presentations, lunchtime school events, parent workshops and staff training through the program. In our classroom presentations, we help students focus on healthy relationships, personal boundaries, assertive communication and safe and effective bystander intervention strategies. We approach all of these topics in age-appropriate way and tailor each presentation to fit the school because know each school community is unique. How can you support our prevention efforts? Get the facts. Sadly 1 in 3 teens have experienced abuse from a dating partner. Find out more about this statistic and others at Love Is Respect.org. Talk to your teen. Educate your child about healthy relationships and personal boundaries. Start with these useful guides: Teen Dating Abuse: How To Help My Child from Love Is Respect and Bullying: Help Your Child Recognize the Signs of Bullying from National Bullying Prevention. Join our “Orange Hearts” online campaign. Take a selfie with your pledge to take a stand against teen dating violence and share it on social media to spread awareness. February is Teen Dating Violence Awareness Month. Get involved online and at the Haven. Visit our website www.trivalleyhaven.org to see what’s happening in February! Donate to our Prevention Education Program. We currently provide presentations to local Tri-Valley area high schools and Livermore middle schools. Next year we hope to expand our program to include all Tri-Valley area middle schools. You can make this possible by donating to our prevention efforts. Tri-Valley Haven’s heart pledges at Dublin High School last year. In addition to providing advocacy for survivors of sexual assault, Jessie is the lead Preventionist for our Prevention Education Program at Tri-Valley Haven. Learn more about our teen presentations our Teen page on our website. Have you or a loved one experienced domestic violence or dating abuse? Tri-Valley Haven hosts a support group on Friday afternoons in Pleasanton for survivors of domestic violence who have experienced emotional, physical, sexual and/or financial abuse, as well as controlling and unhealthy relationships. Through the 8-week group, the group participants learn from each other’s experiences and grow in their independence and belief in their own abilities. They identify the various forms of abusive relationships and give examples of how they have experienced these situations. They learn that they are not “crazy” and that “abuse is not my fault.” These women learn about healthy boundaries, communication, coping skills and self-esteem. Mainly, they are given the freedom and space to voice their thoughts and opinions, free from judgment or blame, and to have their experiences validated by others who “get it”. Many of the survivors express gratitude at having the time and space for people in similar situations to listen to them and to understand – sometimes for the first time in their lives. Feeling heard and understood, as well as empowered, are the powerful tools that these women offer to each other through this group. Tri-Valley Haven is pleased to give these women the space to enhance and heal each others’ lives. Along with support groups, Tri-Valley Haven also offers individual and family counseling to survivors of domestic violence or sexual assault. If you would like to learn more or schedule an appointment, please call Tri-Valley Haven Community Building at (925) 449-5845. If you are a survivor, you may have considered joining a support group to connect with other survivors and share your experiences. Tri-Valley Haven (TVH) offers support groups for survivors of domestic violence or sexual assault. If you’ve never attended a support group before, here is some general information about what we offer! Support groups provide a safe space for survivors of domestic violence or sexual assault to share their experiences and connect with each other. Tri-Valley Haven’s support groups usually run 8 weeks and they are closed groups, meaning participants must sign up for the group in advance. New participants are only accepted at the start of each support group. We do not accept for drop-ins. What are the benefits of a support group? Many survivors feel they are alone, so support groups give survivors an opportunity to connect with others who have also experienced domestic violence or sexual assault. Often survivors are relieved to have a safe, confidential space where they can talk about the abuse or assault. Our support groups also aim to support survivors as they begin the healing process and give them tools to help them along the way. 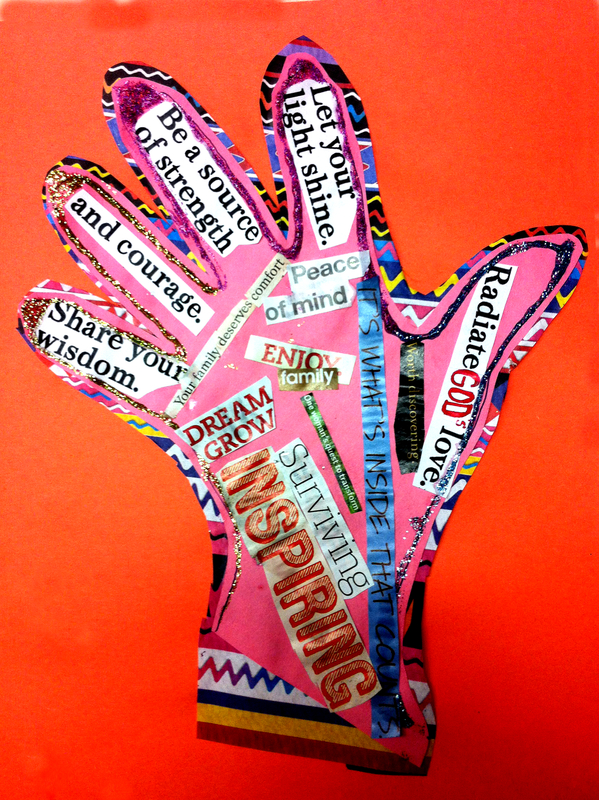 We also focus on helping participants to develop healthy coping skills and practice self-care. Who facilitates a support group? Our support groups are facilitated by therapists or crisis counselors who have received special training to work with survivors of domestic violence and sexual assault through Tri-Valley Haven. How do I sign up for a support group at Tri-Valley Haven? All participants must call Tri-Valley Haven and sign up in advance. After participants sign up, the facilitator will give participants more details about the group, including the location of group meetings. Participants must call ahead. No drop-ins. I am a loved one of a survivor. Can I attend a support group at Tri-Valley Haven? 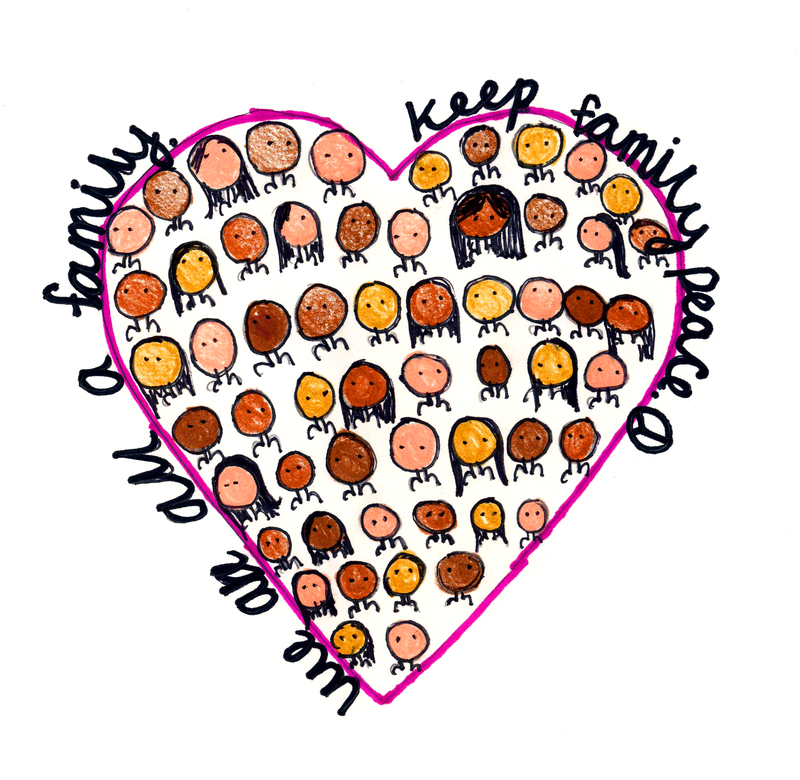 Currently we only offer support groups for survivors of domestic violence or sexual assault. 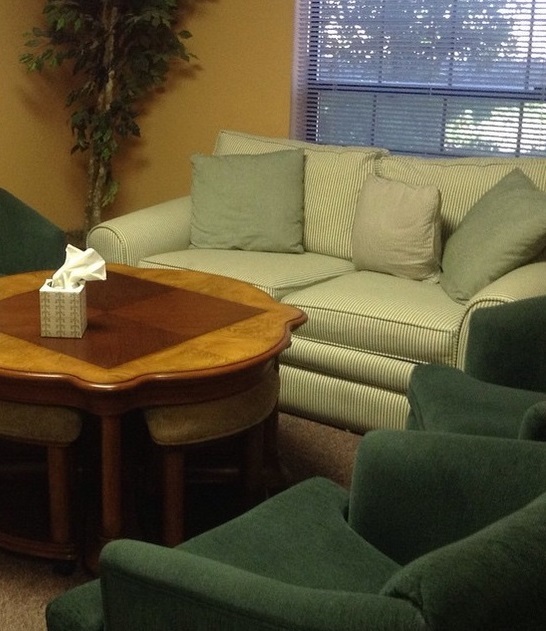 However both survivors and loved ones may receive individual counseling at Tri-Valley Haven. Do you offer support groups for LGBTQ survivors? Our support groups are open to LGBTQ survivors, though currently we do not offer separate support groups for only LGBTQ survivors. If there is enough interest, we may offer one in the future! Do you offer support groups for men? Currently we do not offer an all-men support group. We hope to offer specific groups for male survivors in the future. If you are a male survivor and would be interested in an all-men support group, please let our counseling department know! How can I join a support group or find out more? If you or a loved one is survivor of domestic violence or sexual assault, Tri-Valley Haven can help. We offer individual counseling, support groups, advocacy, shelter services and a 24-hour crisis line at 800.884.8119. We are a nonprofit organization that relies on the availability of grants and the generosity of our donors to fund our life-saving programs. 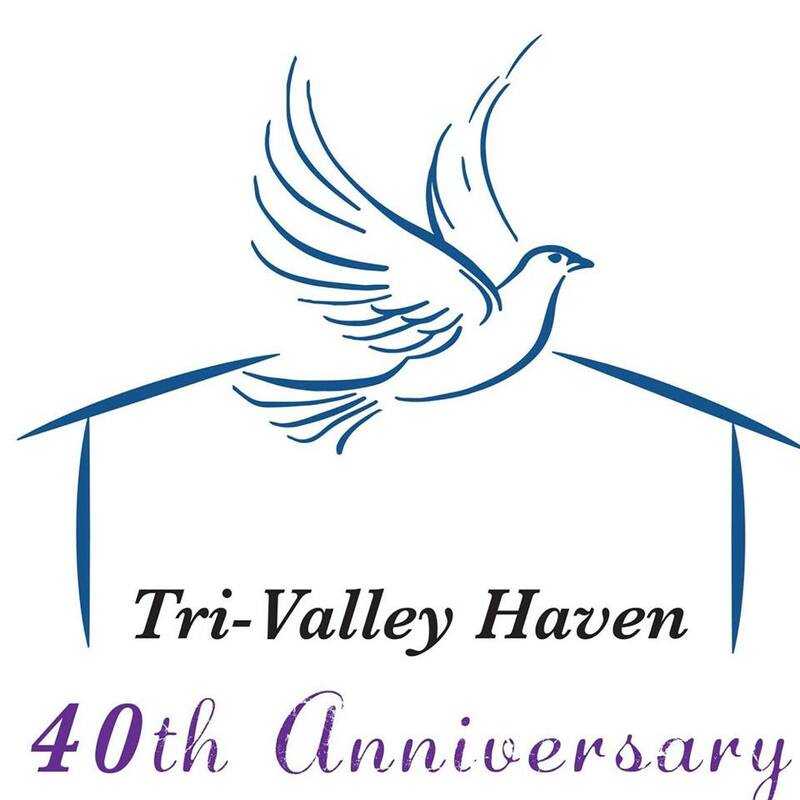 To learn more about our live-saving services and how you can help us keep our doors open, visit www.trivalleyhaven.org! 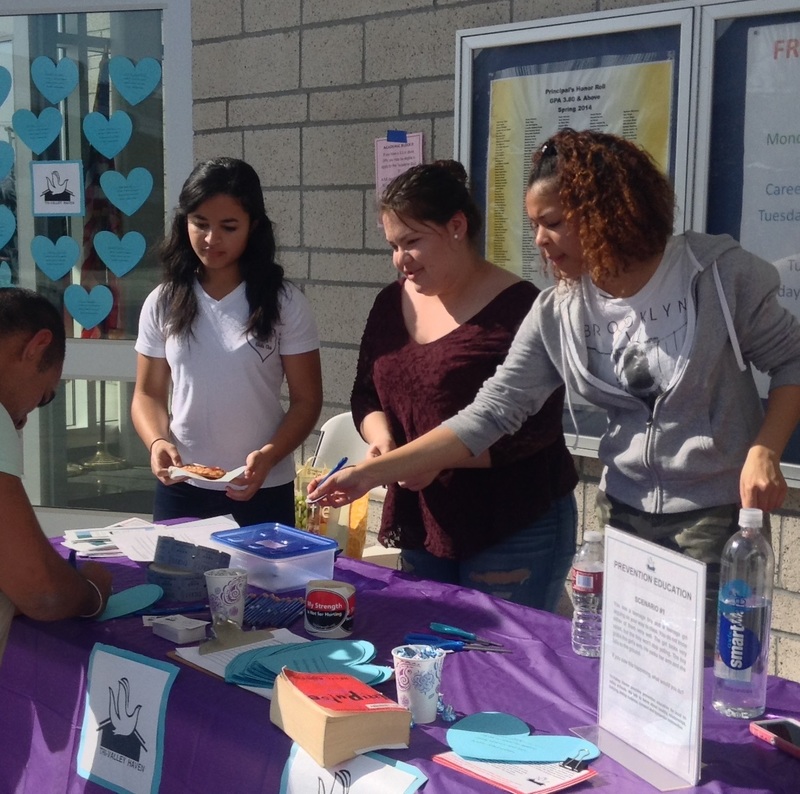 February is Teen Dating Violence Awareness Month, so Tri-Valley Haven headed out to Dublin High School to spread awareness last week. Together the Haven joined Mrs. Slavec and the Be Strong Girls Group to educate teens about dating violence. Students pledged to engage in healthy relationships and received information about dating abuse and the Be Strong Girls Group. Be Strong is an empowerment group for girls in high school. Tri-Valley Haven facilitates monthly group meetings and provide a open, safe space for the girls to discuss different topics related to gender, self-esteem and leadership. 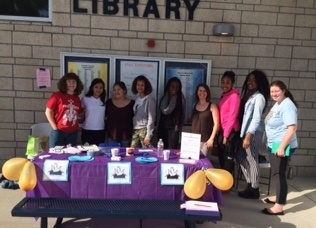 For our Teen Dating Violence Awareness event, each girl was responsible for organizing a part of the event. They also played a vital role in spreading the word about the event ahead of time and encouraging their classmates to participate. When we hear discussions about dating violence, they often focus on adults who have been in abusive relationship. However 1 in 3 teens in the U.S. has experienced physical, sexual, emotional or verbal abuse by a dating partner. This is why Tri-Valley Haven is dedicated to educating teens about healthy relationships and the warning signs of abuse. We provide a safe space for teens to discuss what they see happening at their school and how they can keep themselves safe – emotionally and physically. Thanks to Mrs. Slavec and our Be Strong Girls Group, our Tri-Valley Haven Teen Dating Violence Awareness Event was a success! It was inspiring to witness the Be Strong girls educating their classmates about this issue. After the event, we displayed the pledges on the doors and windows of the school library as part of Teen Dating Violence Awareness Month. Teens Becoming Active Bystanders and Pledging to Support Healthy Relationships! 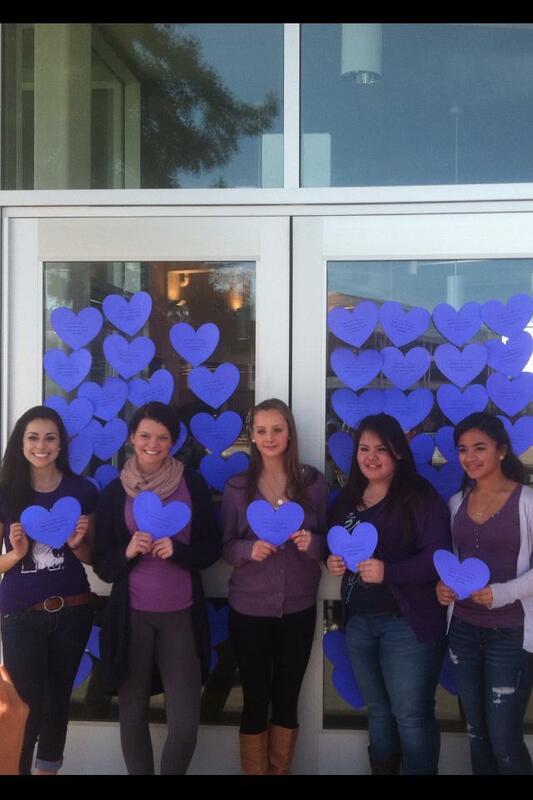 Teens from Dublin High School pledge to help end dating violence in their school. Look at all that purple! Today at Dublin High School, teenagers from Tri-Valley Haven’s Be Strong Group held a Violence Prevention Event in the school’s courtyard. Male and female teens signed hearts pledging to do their part to end teen dating violence. Students also took Healthy Relationship Quizzes, and discussed ways to remain safe in dating relationships. Sometimes hearing about healthy relationships from adults when you’re a teen isn’t exactly the most helpful or effective way to get the message. But when you hear about it from your own friends and classmates and peers, that’s when the magic happens. A little magic happened today.